Working for Uber or Lyft is about more than just driving. Working for Uber or Lyft is about more than just driving. As a self-employed worker, you are treated as a business by the IRS. It’s important to understand the tax implications of your side (or full-time) gig. 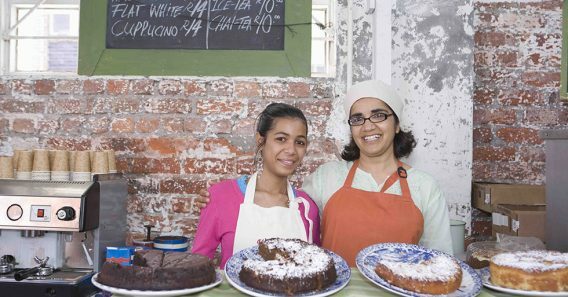 Understand how self-employment taxes work. You pay self-employment taxes in addition to your regular income taxes. This means you may have a larger tax bill when you file. 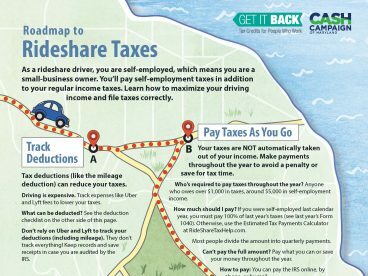 The Roadmap to Rideshare Taxes Cheat Sheet explains self-employment tax concepts in an easy-to-follow map. Track your tax deductions. You are eligible for tax deductions for business expenses that can reduce your taxes. Compile a list of these tax deductions with receipts and keep a mileage log so you’re prepared to file. Pay taxes as you go. Your taxes are NOT automatically taken out of your income. Make estimated payments throughout the year to avoid a penalty. File your taxes. You’ll need to file Schedule C and Schedule SE with Form 1040. You’ll find your rideshare income information on your driver dashboard. To prepare to file, you can fill out the Rideshare Tax Organizer and find free tax filing locations in your area. Unlike many employers, Uber and Lyft don’t provide benefits like sick leave or health insurance. When you sign up with the company, you don’t fill out a form to withhold taxes throughout the year. And, importantly, Uber and Lyft won’t pay a portion of your taxes for you. 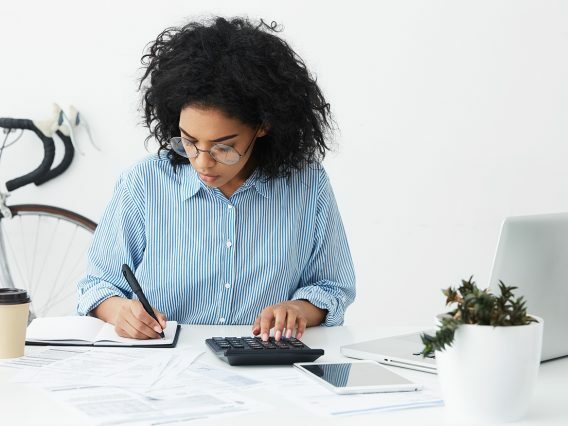 This guide will cover how self-employment taxes work, how to count your driving income, how to track tax deductions, and how to pay estimated taxes. Are Uber and Lyft drivers self-employed? If you drive for Uber or Lyft, you are self-employed. As a driver for either company, you are an independent contractor rather than an employee. As an independent contractor, you provide transportation services to individuals. While working for Uber or Lyft, you set your own work hours and usually provide your own car and other resources necessary to do your job. How does self-employment tax work? It is possible to owe $0 in income tax and still owe self-employment tax. Self-employment tax is an additional tax that you must pay to the federal government to fund Medicare and Social Security. These payments are your contributions to your Social Security pension and Medicare eligibility. If you were an employee, part of these contributions would be withheld from your pay and the other part would be paid by your employer. Because you work for yourself, you are responsible for both the “employer” and “employee” portions of the tax. 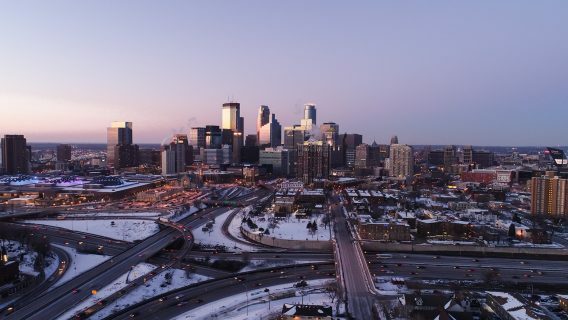 For Tax Year 2018 (returns filed in 2019), the self-employment tax rate is 15.3 percent. Self-employment tax is paid in addition to your regular income tax. It is possible to owe $0 in income tax and still owe self-employment tax. If you earn more than $400 from Uber or Lyft, you must file a tax return and report your driving earnings to the IRS. Most Uber and Lyft drivers report income as sole proprietors, which allows you to report business income on your personal tax return. 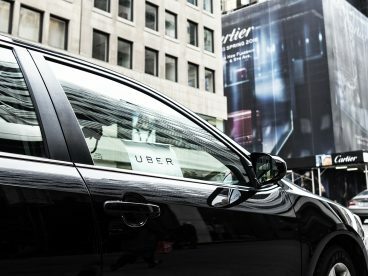 If you earned less than $400 from Uber or Lyft, you may still have to file and report the earnings if you have to file for other reasons. Which forms do you use to file self-employment taxes? You will file Schedule C or Schedule C-EZ to report your profit to the IRS. On either form, you record all your business income (Uber or Lyft income) and business tax deductions (expenses). You pay taxes on your net income, which is your total income minus any business tax deductions. You have several options for preparing and filing your taxes. If you made less than $66,000, you can file your return online at MyFreeTaxes. If you make less than $55,000 and prefer to have your return prepared by an IRS-certified VITA tax preparer, you can contact your local free VITA tax preparation site. How do Uber and Lyft drivers count income? You must report all income you earn, even if you don’t receive any tax forms from Uber or Lyft. This includes income from any source, no matter how temporary or infrequent. Since you may not receive a tax form for all income sources, it’s important to be able to track your own income. You must report all income you earn, even if you don’t receive any tax forms from Uber or Lyft. You will likely receive two tax forms from Uber or Lyft. Form 1099-K reports driving income, and Form 1099-MISC reports any income you earned outside of driving, including incentive payments, referral payments, and “join and support” payments. Include the total income from the tax form on your tax return. Form 1099-K income will not be reduced by any fees or commission that Uber or Lyft charge you. You will need to report these fees under your business tax deductions. Otherwise, you will pay taxes on more income than you should. Note: The Uber Tax Summary and Lyft Driver Dashboard contain important information that is generally not available elsewhere. These documents are a critical part of tax preparation. Don’t do your return without them! As a self-employed worker, tax deductions (like the mileage deduction) are the best way to prepare an accurate tax return and lower your taxes. If you don’t take these deductions, more of your income will be subject to both income and self-employment taxes. As a self-employed worker, tax deductions are the best way to lower your taxes. You may not think of yourself as a business owner, but you are. Uber and Lyft drivers can track the costs associated with driving, like mileage, and take these expenses as tax deductions. These tax deductions are for any expenses that are common and helpful for your driving. They include fees and tolls that Uber and Lyft take out of your pay. As a driver, your biggest business expenses will be costs related to your car. Make sure to track tax deductions as you go—it is much harder to recreate records later! Tracking tax deductions can also help you determine whether your driving is profitable. There are two ways to track your mileage deduction. Standard mileage. 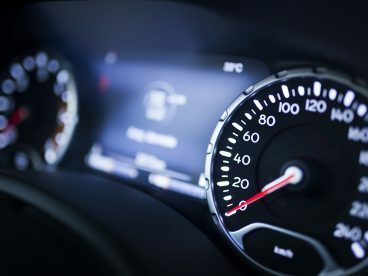 Multiply your business miles driven by the standard rate (54.5 cents in 2018). This rate includes driving costs, gas, repairs/maintenance, and depreciation. Do NOT deduct these costs separately. This is the more common and easiest option. Actual car expenses. Track your driving expenses yourself. Actual car expenses are difficult to track, so seek professional tax help. With either method, you’ll need to keep a carefully detailed mileage log to deduct these costs. Not all miles driven can be deducted. For example, miles driven from your home to your first pickup of the day are considered your “commute” to work and not counted as business expenses. Any personal driving you do during the day (such as your lunch break) cannot be counted either. Luckily, there are apps and tools to help make tracking tax deductions easier. This guide on tracking mileage has more information. People who work for an employer have a portion of their taxes taken out of each paycheck and their employer pays the other portion on their behalf. Ideally this covers any income taxes owed. Since self-employed workers don’t have withholding, you’ll need to pay your own taxes during the tax year. If you expect to owe more than $1,000 in taxes (that’s earning roughly $5,000 in self-employment income), then you are required to pay estimated taxes. If you don’t make estimated tax payments, you may be charged a penalty by the IRS. If you expect to owe more than $1,000 in taxes, then you are required to pay estimated taxes. You are required to pay 100 percent of the total of your last year’s income taxes or 90 percent of current year’s taxes. If you make over $150,000 in self-employment income, you must pay 110 percent of last year’s taxes. If you are driving for the first time, estimate your yearly salary based on your weekly earnings. Most self-employed workers pay quarterly estimated taxes, but you can find a schedule that works for you. For example, you can treat self-employment taxes like a bill and pay a portion every month when other bills are due. Submit your payments by mail or online using the Electronic Federal Tax Payment System. What resources are available to help me with my taxes? First, review and print out the Roadmap to Rideshare Taxes Cheat Sheet as a reference. Track your tax deductions in a spreadsheet (printable spreadsheet) or an app. Finally, read through the step-by-step guide to filing rideshare taxes. The Rideshare Tax Organizer can help you make sure you have everything you need.